If you ever watched THE QUIET MAN and didn’t enjoy it you’ve had a humour by-pass. I’ve heard it dismissed as stage-Irish. It certainly employed some stars of the Irish stage, such as Arthur Shields, who had stored his rifle under the Abbey Theatre boards before taking part in the 1916 Rising, itself a hard act to follow. Arthur played the Reverend Playfair, the Church of Ireland Rector, and in real life was of that denomination, as was his brother who went by the stage-name as Barry Fitzgerald. William Shakespeare had something to do with the film also as it was essentially THE TAMING OF THE SHREW moved from Padua and its environs to Connacht. Feminist critics have, rightly, defended the film and Mary Kate Danaher’s refusal to be pauperised by her brother and beholden to the charity of her bridegroom. 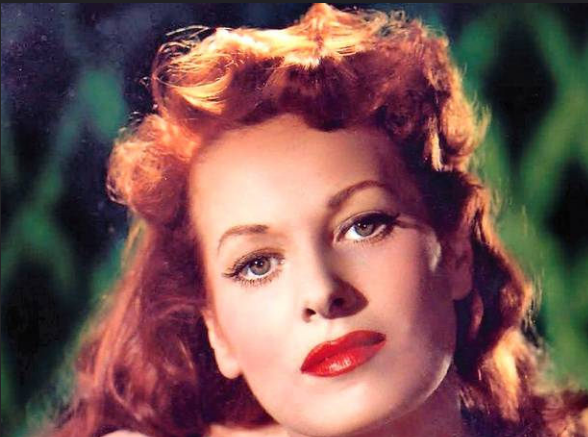 In real life Maureen O’Hara showed the same spirit. When she sought American citizenship in the 1940s the US authorities demanded she relinquish allegiance to the King of England. She insisted she had never owed nor given such allegiance, being Irish, and she fought and won a long battle with the US State Department. The Dublin Opinion had a cartoon of De Valera with a fan’s poster of the star on his office wall. For me the scene where Father Lonergan’s anticipated landing of a salmon after an epic struggle, is spoiled by Mary Kate’s interruption, is one of the best ever filmed. But Mary Kate’s choice of confessing as Gaeilge rather than the more widely understood English, that her bridegroom had, perforce, to sleep in a Mala Codlata, displays a wonderful grasp of psychology by the scriptwriter. Though the idea may have come from Ernie O’Malley, the Republican veteran, who was an advisor on the making of the film? Though the TD for Armagh, Michael Collins, was ineligible to attend the the Rum Parliament, he was also TD for a Cork constituency and emerged as Chairman of a “Provisional Government For Southern Ireland” pending the establishment of Saorstat Eireann scheduled for the following December. While Presiding over this anomalous if not “Irregular” junta, Collins was simultaneously the Finance Minister in the legitimate Cabinet of the democratically established Parliament – Dail Eireann. Beggars Bush Barracks in Dublin was evacuated by the British “Auxiliaries” and taken over by Irish troops in 1922, ostensibly subject to Dail Eireann’s Minister for Defence, Risteard O Maolcatha, and Sean Lemass was one of those troops. When he found out he was being paid from funds not voted by Dail Eireann but by the “Provisional Government,” he severed links with Beggars Bush and resumed his unpaid IRA membership. President Higgins has suggested that we take a good honest look at our history, I’m doing my best, like the pianist in the mining town in Montana remarked upon by Oscar Wilde. I trust you will forgive this digression, or, if you prefer, divarsion. Montana. I’m told, has the highest proportion of people of Irish descent of any State in the American Union, and the commonest name in Butte is O’Sullivan. As the mines there, like those in Arigna, are copper-bearing, they were developed and worked by men from that area of West Cork. Not many miles from Clonakilty and Sam’s Cross, or for that matter, Beal na Blath. Michael Collins and Tom Hales, who commanded the unit who shot him, and Sean Hales were all doing their best for Ireland. Those with generous dispositions will give them that recognition and their thanks. Involvement of the IRB in Irish history is intriguing. Nobody knows who they were, what they done and when they disbanded – if ever. production by “The Kilronan Players” in 1920. The play was not by Sean O’Casey, but by another Dorset Street Boy, Richard B. Sheridan. I agree with you , Donal; those who sneer at ‘The Quiet Man’, know little of Ireland’s people and less about the direction of dramatic forces. Arigna mines in West Cork? Isn’t Bushmills around there also?